I returned to Grafton a day after power came back...lucky me. My house didn't have a scratch on it but my Williamsburg rental property wasn't so lucky. The hurricane dropped four huge trees on the property, and one went through the roof of the house. As a result it took three more months to sell and $6000 of my own money to fix it and remove the trees. What a freakin' nightmare. My office flooded and there are still wires hanging from the ceiling a year later because the electrical outlets flooded. I spread rumors there were dolphins stuck in the walls living off the mold. 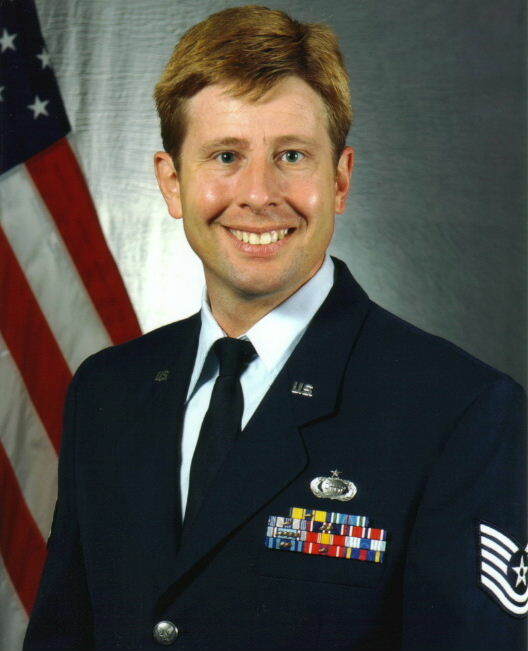 I guess it didn't hurt because I was chosen as Non-Commissioned Officer of the last quarter of 2003. I don't understand how I managed to get that but I guess it was just my turn. I was sick from the time I got back to Virginia...every time I'd ride I'd be sick afterwards and ran a fever every weekend. Most Saturdays were spent on the couch. It was the flu that never went away. The wound from the kitten was red and tender six weeks after the attack. If I hit it I'd get sharp pain through my hand and scream like a woman. Then I found a lump in my armpit when showering...maybe I really did have breast cancer. My boss ordered me to see the doctor. After I'd explained what was going on to the doctor he phoned public health in Portsmouth and they all held an emergency meeting to discuss what to do with me. I'd contracted Cat Scratch Disease, a disease passed through cat saliva which, if untreated can be fatal because of other diseases that come with the bacteria. I was also treated for rabies. So I was put on antibiotics and injections over the course of six weeks and had some neat war stories about how a kitten almost killed me. They wanted me to find the cat in Indiana but really... he could be pawed and dangerous. He was probably already arrested for something. The antibiotics made me feel worse and sometimes I had trouble breathing when I worked out too hard but my hand eventually healed and I can now tell you I'm back to my old screwy self. I scream like a MAN! Angie and I fell apart and she hooked up with her old boyfriend in Europe. They moved in together and I've heard almost nothing from her since. It was too painful to discuss the situation with her after all we'd been through so I burried myself in medication and isolation. I knew it wouldn't work for us but still she was wonderful, she was beautiful, and I'd lost another possibility for happiness. 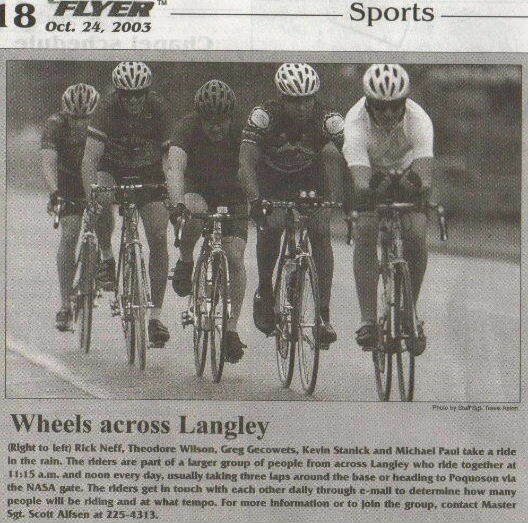 I became a regular member of the Langley Cycling Club and the base newspaper did a small article on us. Top of the page is a photo they shot for it. I'm in back, Kevin, friend and co-worker is in front of me, and then there's Theodore (the Turtle) in second position. He's the club leader. I was doing well with the club, so well I became known as a merciless, evil rider. 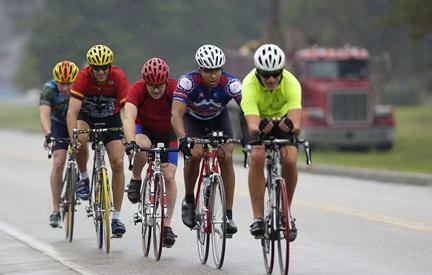 It seemed on every ride we did as a group I'd blow the field apart at some point. I didn't feel I was riding well but the energy of our group always gave me that extra power and I became very agressive. I'm like a dog...I see something go and I chase it, including cars. It wasn't uncommon for me to pass cars on base when they were driving too slow. I swore up and down I was only riding like I liked to ride and wasn't trying to make anyone suffer but still...I like it when people think I'm strong, even if I'm not.